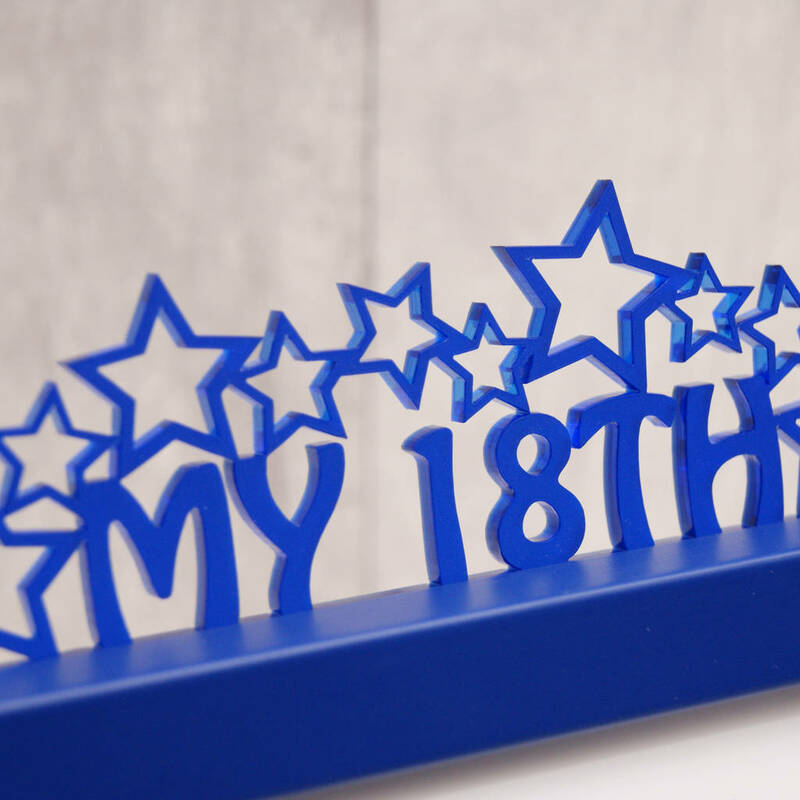 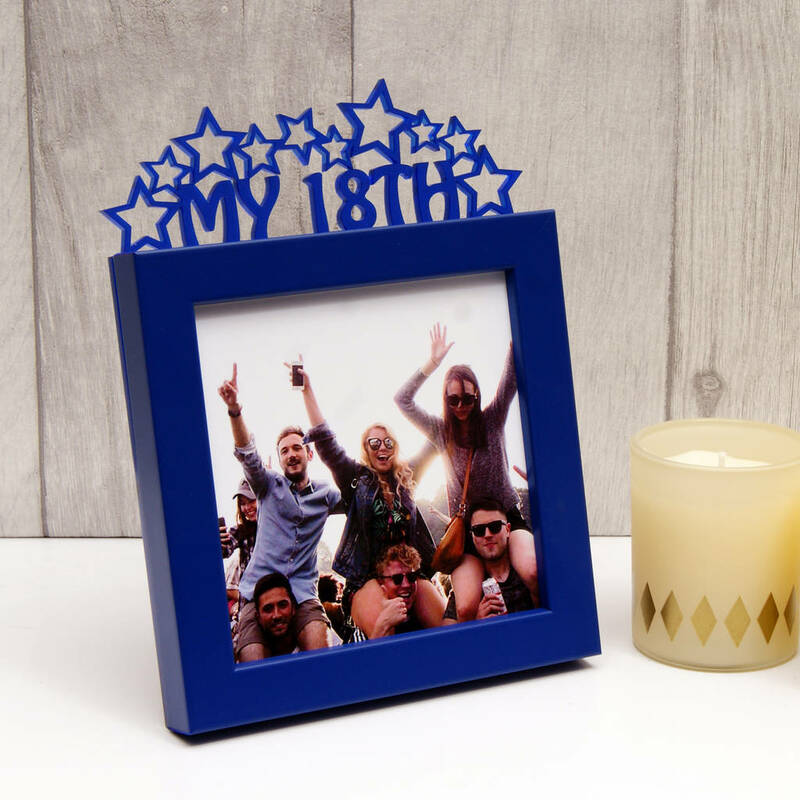 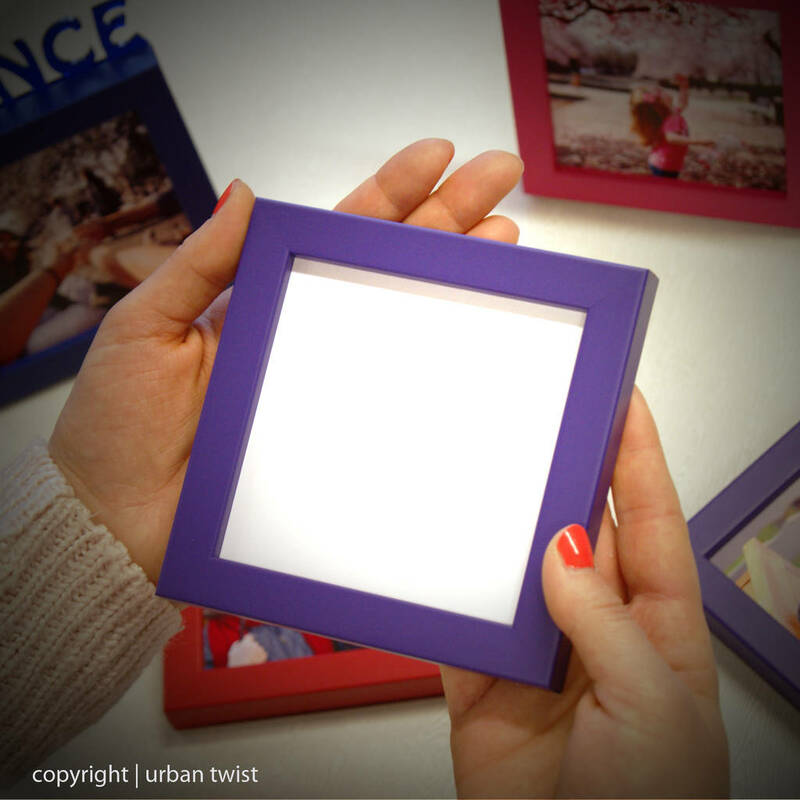 Make someone's milestone 18th birthday a star-studded event with this handcrafted photo frame! 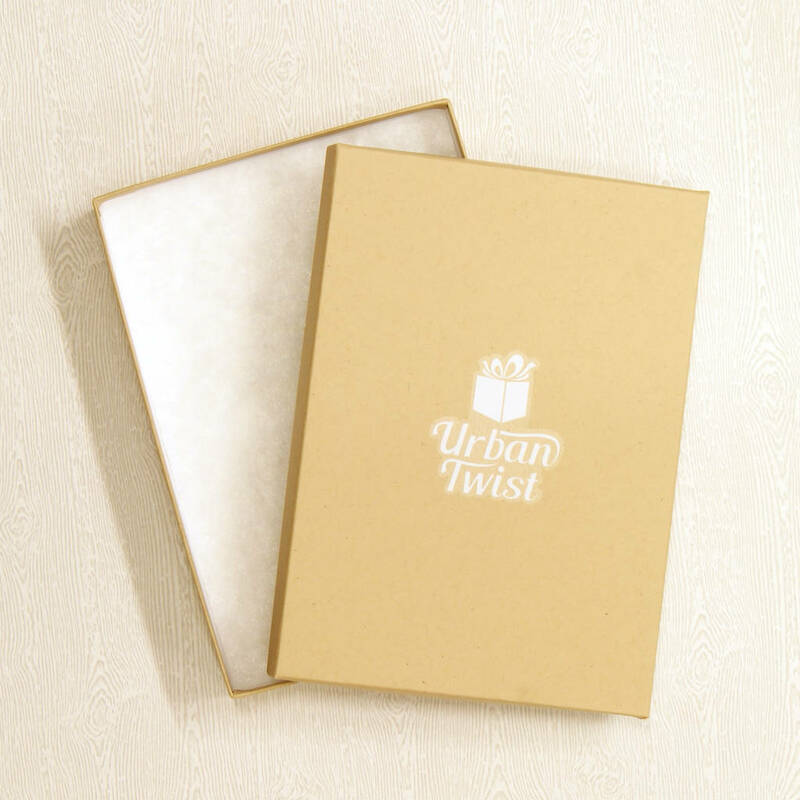 The birthday girl or boy is sure to love unwrapping this unique present! 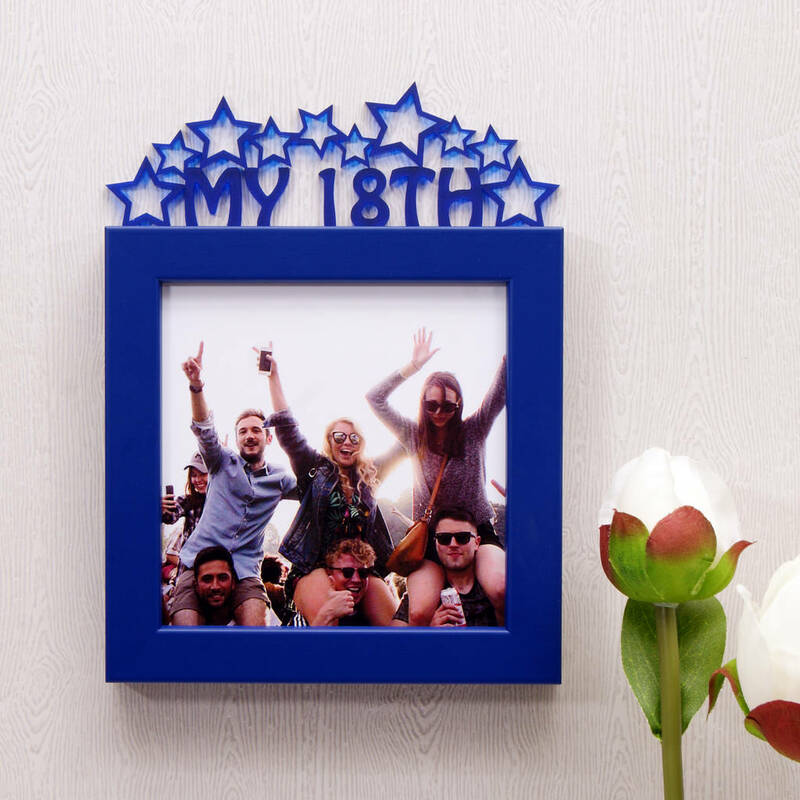 Our frames are designed and assembled in our Edinburgh studio and are crafted from the highest quality cuts of solid wood and acrylic. Each frame is made to order with 'My 18th' cut from 3mm frost acrylic creating a stunning 3D effect. 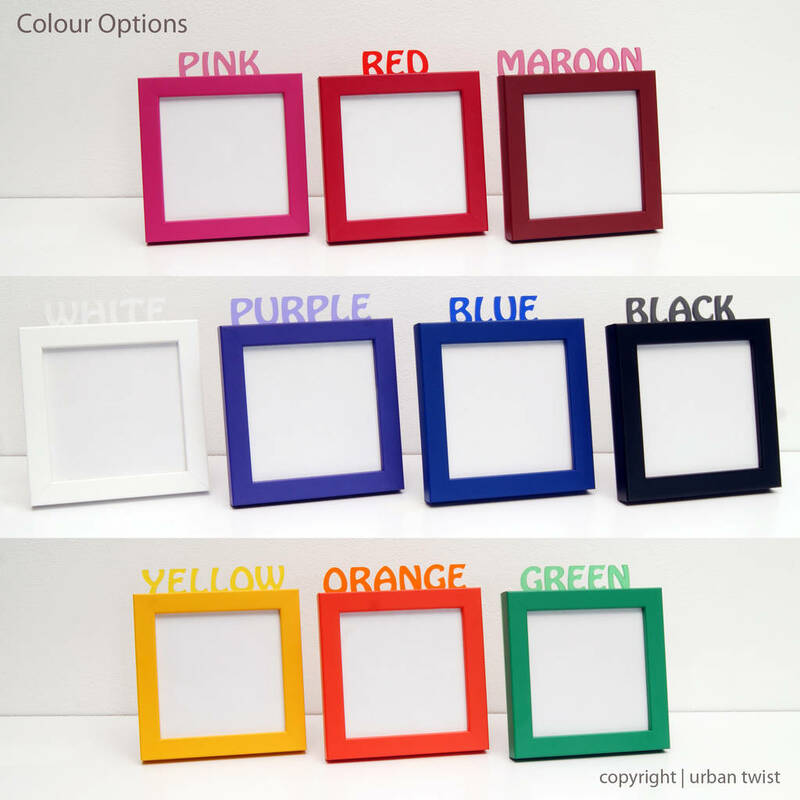 Available in 10 eye-catching colours!